Making an India packing list is hard. India’s incredibly hot, brutally cold, dripping wet, bone dry, packed, and desolate depending when and where you are. India is also amazing. This massive country asks a lot of the travelers that visit—health concerns, massive seasonal changes (monsoons! ), logistics, language barriers—but every trip to India is its own reward. Take on the challenge with a new India packing list for every season and every reason. Author’s Note: This India packing list is a general use template for travelers likely to stick to some of the more popular spots like Delhi, Agra, Goa, and Mumbai. It’s not for everyone, so feel free to add or subtract to customize your needs. I’ve been to India twice, both for extended trips. I’ve danced at a wedding in the far north in Kashmir (on the Pakistani border), slept on the beach in Goa, sipped tea in Nilgiri, prayed in Chennai, and cruised the lazy rivers of Kerala. 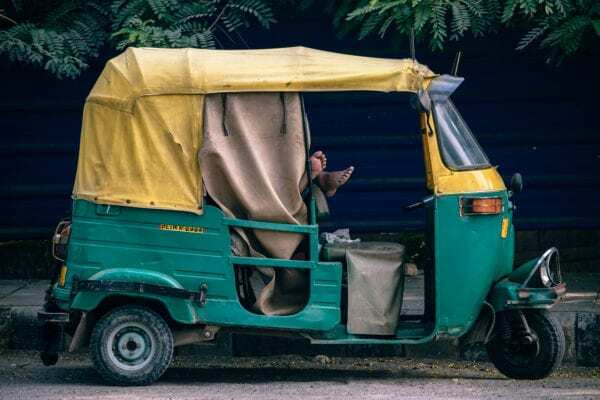 I’m visiting India again this April to participate in the Adventurists Rickshaw Run, where a buddy and I will drive a 7hp rickshaw 2,000 miles down the west coast of India. It’s gonna be great. And terrible. Follow our journey across India in the Rickshaw Run here! My point is that India is complex, varied, ever-changing, and I still don’t have a great handle on it. You won’t either, which is kind of what makes it great. India is one of the most populous countries on earth, yet it features some of the most remote places you’ll ever experience. The mountains in the north are the foothills of the forbidding, frigid Himalayas while last year the Western deserts recorded the hottest recorded temperature on earth. Ever. Seriously, it was over 150 degrees fahrenheit. That’s nuts. It’s a place unlike any other. So pack accordingly. The biggest tip is to tailor your India packing list to a very narrow set of goals. If you’re going to a wedding, don’t pack for a jungle trek, a mountain hike, six temple visits, and three weeks partying in Goa. You’ll bring too much useless stuff. Pack for the wedding and see what else you can bring along. Make your life a thousand times easier and stick to a carry on. The Outbreaker travel backpack is perfect for India, and water resistant which is super important during a monsoon. You’ll be fresh and nimble enough to enjoy all the India has in store for you. So let’s get into the essentials of what to pack for your trip to India! India doesn’t have four seasons like much of the world. Instead, there are six. In addition to the four you already know, India has monsoon season, called Varsha (July and August) and pre-winter, called Hamanta (November and December). Summer (March – May): Summer comes early to India with scorching average temperatures of 30° C, but easily rising above 40° C in some areas. Rainy Season (June – September): High humidity, oppressive heat, and buckets of rain. Research local weather patterns and trends if you’re traveling to India during the monsoons. Autumn (October): This shoulder season of cooler temperatures, pleasant weather and reduced rainfall is short, but can include September and November. Winter (December – February): Typically chillier, especially in the north. Northeast monsoons are common, so check your local weather for updated storm information. Pack exclusively for the season you’re traveling to India. Don’t be scared of monsoons in January, and don’t bring a heavy jacket in July (unless you’re hiking the Himalayas). Keep it seasonal and you’ll cut down on a lot of unnecessary gear. That being said, here’s the full India packing list, with a complete breakdown of each item below. Enjoy, and reach out to me on Twitter if you have any questions about any of my packing hacks or travel gear. Always happy to help you pack the perfect bag for your next trip! Now that you’ve got the basic list, here’s the item by item breakdown. I like to hike, bike, and move when I travel, so when I read some early pre-release reviews of the features of this little pill shaped sweat wicking travel shirt, I immediately thought about India. BUMI makes their base layer shirts from soft anti-microbial “Cottonkills” fabric, that stretches and moves with you while you hike, features “flatlock” seams on the shoulder (the ones that won’t dig into your shoulders after wearing a backpack all day), and underarm stitching to provide great range of movement. But the best part has to be the way it stows into itself in it’s own little compression pocket. It’s perfect for packing in a carry on, but the stow pocket doubles as a great place to stash your iPhone while listening to music on long bus rides or flights. Note: As of the time of this writing, BUMI is in the process of releasing two limited edition technical tees (stay tuned for base layer availability this April). India is hot almost any time you travel, but I’ll be in Western India during their pre-monsoon summer, so it’s gonna be cooking. I don’t want to have to change my shirt three times a day to avoid pit stains. That’s why I’m bringing 4 tank tops on this trip. Tank tops pack down small, wear great, and last for a while since they don’t pick up a lot of your body odor thanks to the lack of sleeves and open ventilation. Tank tops are basically nature’s AC. Bring a few. You’re not a savage. Pack a lightweight, breathable long-sleeved collared shirt for nights out, fancy dinners, or just shaking the dust off your feet and going somewhere out of the ordinary. Indian clubs don’t always have a dress code, but when they do it usually entails a collared shirt. Bonus: Linen shirts are amazing for almost every Indian season. Bring one. I’ve tried a lot of professional looking travel pants, but these comfy little slacks from Betabrand are ideal for travel to somewhere warm when you still want to look presentable. The hidden drawstring means you don’t have to wear a belt (one less thing to pack), but the belt loops and tailored fit mean you’ll look good at the club or the conference room. I like looking like a gypsy when I travel as much as the next guy, but these pants are fantastic for blending in with people that actually live and work in India. Plus, they’re amazing for the flight. 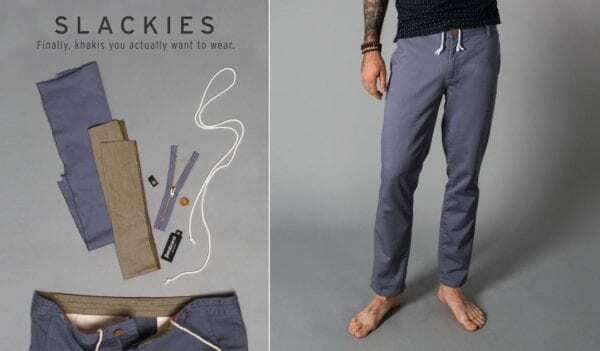 The deep pockets keep your passport and phone secure, and they’re almost as soft as linen pajama pants. These are my go to travel pants, and they’re coming with me to India. I’ve written a full review of all the best travel underwear from MeUndies, ExOfficio, Uniqlo, and SAXX. In my opinion, ExOfficio is the absolute best for travel, especially extreme travel that you might encounter in India, but they’re also the most expensive pair on the list ($28). Splurge and get one pair of ExOfficio travel underwear and fill out the rest of your bag with cheaper, but still great travel undies from Uniqlo and MeUndies. You’ll be glad you did. Read the full travel underwear article here. India is hot, wet, and I like to swim a lot. When you pack a carry on bag you have to make sure each item pulls double duty, so this pair of hybrid shorts / swimsuit is perfect for roughing it around India during any season. They’re light, quick drying, comfy as hell, and perfect for keeping a breeze between your knees during those sweltering Indian afternoons. 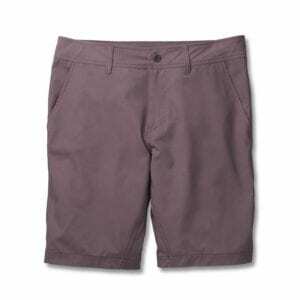 Cool enough to wear in and out of the pool, you’ll spend a lot of time in these shorts. Bonus: The rear button pockets ensure that you can actually… you know… keep things in your pockets, which is sweet. I’ve always been jealous of pashminas. They’re the ultimate travel garment—equal parts scarf, dress, towel, blanket, and wrap—but I’ve never been able to pull one off. Now I don’t have to. BUFF scarves are tiny comfortable scarves that quickly transform into a dozen different garments like a scarf, bandana, hat, sweatband, and even a makeshift bag). They’re quick drying, soft, and versatile. Choose from tons of styles and designs, but for India I recommend slim fit, hi-vis reflective scarves, and the UV and insect resistant BUFFS. I’m taking the insect proof BUFF on the Rickshaw Run, because, of course I am. For ladies who love colors—or self-identify as the brightest crayon in the box—this is the place for you. Leave your blacks behind and pack those outfits you bought but never wore because they were a little TOO neon/bright/etc. In India, it is impossible to have too much color. And while the ladies shine bright, it’s not always sunshine and mango shakes for female travelers in India. While women travelers’ stories from India span the spectrum, one thread that is all too common is the prevalence of male privilege and sexual assault. Being groped and touched by strangers (men primarily) happens with enough regularity to warrant advanced consideration by women who choose to set foot here. Being very direct and stern is important in India. A sharp no, a hand pushed out to enforce the “Stop” or “No”, a serious face—all are needed. Keep a straight face unless you are greeting an Indian friend, lest your friendliness is interpreted to mean you are welcoming attention you don’t want. Instead of worrying about if you should or shouldn’t pack sleeveless tops (in some parts of the country its common, in other parts it isn’t), pack those sleeveless tops but ALWAYS carry a scarf with you in case you come across a road full of staring eyes, a temple where you should cover yourself out of respect, a rural area where you just never know… etc. Plus, in the heat, you will be thankful you can give your pits some breathing room. Scarves are also multi functional—cover your face in the city dust, shade your eyes or protect your skin from the hot sun, dry your hands when there are no paper towels/hand towels, or simply to look beautiful. While shoulders can be easily exposed or hidden, modesty does not stop there. Women in India tend to wear LONG tops—more importantly than covering your shoulders is covering your bum. Even if you wear jeans, its common for ladies to have tops that at least reach to the mid or bottom of their bum. Especially if you are wearing leggings, the top should clearly fall mid-thigh in the front and in the back. Pro tip: This can be easily solved by buying local kurtas. Speaking of buying local, the truth is that you honestly don’t need to pack much in the way of clothes for your India trip. Pack ESSENTIAL clothes and then buy local clothes when you are there. Clothing is inexpensive, beautiful, and you will “blend in” more. While you don’t need to pack many tops, be sure to pack many pairs of your favorite leggings. The leggings in India are different—they are longer and bunch up at the ankle. That’s a common style. And while it’s fine, it can make you more hot. Black leggings, colorful leggings, anything goes. Shoes will rarely be worn unless you are hiking/playing sports/etc. Sandals are appropriate for everything else (and again, can easily be purchased in India). Unless you’re visiting a rural area, you can easily find and purchase clothes, toiletries, and medicines here. Don’t count on the rural areas as having much. Feminine hygiene is more of a challenge in India and the supplies available may not be up to your standard. Bring tampons with you—pads are everywhere, but tampons are hard to come by (and when you do find them, they’re the no applicator kind). There’s no Midol equivalent here, but you can find brufen/ibuprofen to get you through those long-crampy days. Trust me on this one. A starter roll will come in handy til you can find a new supply! Also—baby wipes and wet wipes can feel like pure luxury. For beauty items, pack your “must haves” and consider purchasing dual-voltage hair dryers, flatirons, etc. Two piece swimsuits are rare. Bring a pair of shorts to wear over it, too. It’s strange, but comes in handy in a variety of travel circumstances, such as night trains/buses or less-than-ideal hostel beds. Where shoes are concerned, think function over form and flexibility for multiple uses. Unless you’re headed to a wedding or formal event a pair of semi-casual, walkable shoes will carry you through most of your trip. Pack a couple of pairs to give your feet a break. I love boat shoes. 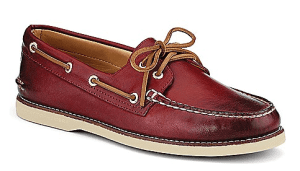 Sperry Top Siders are incredible, and you should own a pair. In all seriousness, boat shoes are great for India. They pack light, look great in the club, can handle the rain, and can take an absolute beating from dirt and cobblestone streets. It’s nice to have a pair of sandals to change into after a long hot day, plus you should always wear sandals in communal (hostel) showers. That’s just good sense no matter where you are. For India, I like to bring an extra pair of comfy shoes in addition to whatever athletic or boat shoes I pack. Espadrilles pack down so well it’s almost a shame not to bring them, and if you can find a sale online, the price for an extra pair of super comfy shoes to wear around for a few days is well worth it. Train travel in India is a unique experience, but can be infuriating and exhausting if you’re not prepared to get a good night’s sleep. Pack an eye mask and earplugs for those long, bumpy, noisy rides and wake refreshed and camera ready when you arrive at your next stunning destination. India is hot. And sunny. Pack your own carry on friendly SPF 30 sunscreen stick ($10) and SPF 30 lip balm ($4) from Sun Bum and you’ll have one less thing you need to pick up from the drug store when you land. RE-APPLY EARLY AND OFTEN. Read the full toiletries packing list article here. Malaria pills are common practice for travelers visiting any regions outside of major metropolitian centers, although you may want to take them there as well. Consult a travel physician for the correct dosage and prescription. Doxycycline is a common antimalarial antibiotic, as well as Malarone, but there are new strains of antibiotic resistant strains of malaria popping up every year, so check with your physician which prescription is right for the areas you’re traveling to. Find right dose on the Imodium usage chart. If possible, use weight to dose; otherwise, use age. Cipro is intense. It’s a much stronger anti-diarrhetic than Imodium, and as such it requires a prescription. Only use this in severe cases of diarrhea or dysentery as the effects are severe and long-lasting. Cipro can be harmful to your liver and joints, and shouldn’t be taken habitually. If you do start a cycle of Cipro, consult your doctor and make sure you take the complete cycle of medication, one pill every 12 hours, as directed. However, if you’re traveling with your computer, perhaps working a bit as you go, then you want a daypack that’s more robust and built to protect your valuable laptop. The Outbreaker daypack has a sturdy computer sleeve built into the bag, close to your back, is made of waterproof sailcloth fabric, and has extra padding on the back panel and shoulder straps for a comfortable carry with a little more weight. If you’re traveling to India during the monsoon and you’re worried about stuff staying dry, this bag is perfect. It folds down flat in your travel backpack and takes up very little realestate in your travel backpack. 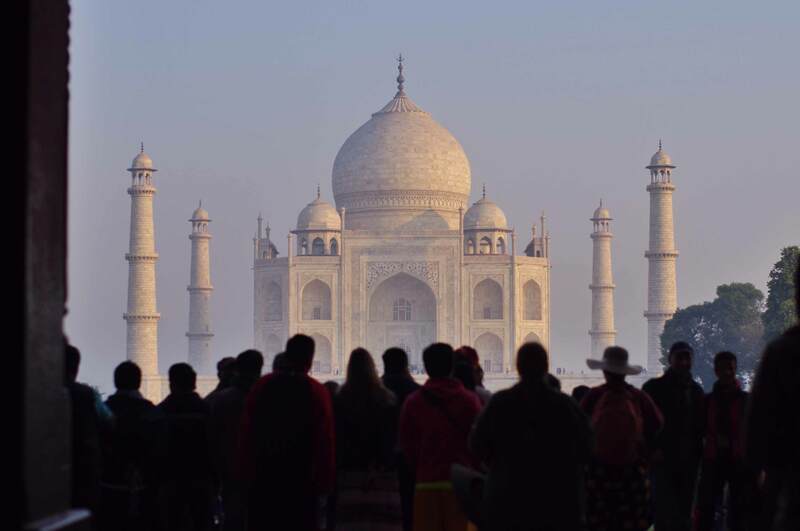 You’re going to India: Bring the right camera gear to get the perfect Taj Mahal selfie. #cantTAJthis. Here are some of my ultralight travel camera gear tips, hacks, and packing recs. I have a Canon DSLR but I honestly can’t remember the last time I really used it on a trip. It’s heavy, expensive, and the last thing I want to bring is a full lens kit. 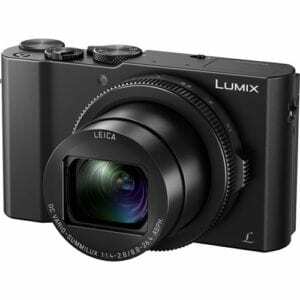 Yes, it’s a better camera than the point and shoot. Yes, you can get great shots with it if you have the time to mess with all the settings, swap lenses, bring a tripod, and wake up at dawn. I’m not gonna argue that DSLR’s are great cameras. However, I am going to argue that DSLRs are not great travel cameras. Any camera that requires its own bag is not a travel camera. Unless you’re making good money with your photos, bring a high quality point and shoot that fits in your pocket. Or better yet, bring your smartphone. The iPhone 7 is friggin’ amazing with better depth of field and resolution out of the box than many entry-level camera. Plus it’s idiot proof, and the time lapse, slow motion, and 4k video are integrated into your phone. You don’t have to mess with SD cards or portable hard drives. You just upload great photos as they happen. Don’t bring a DSLR to India. You’ll hate that thing by the end of your trip. 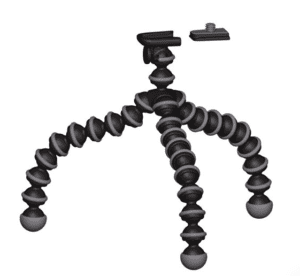 JOBY makes a great tripod. 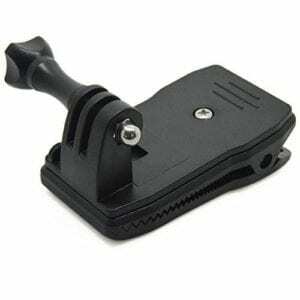 Get the slightly larger one and make sure it has an adjustable pivot mounting head. Getting a straight shot without a moveable head requires an engineering degree. I love this thing. Magically, it turns my iPhone into a time lapse all-star, and it fits in my pocket. 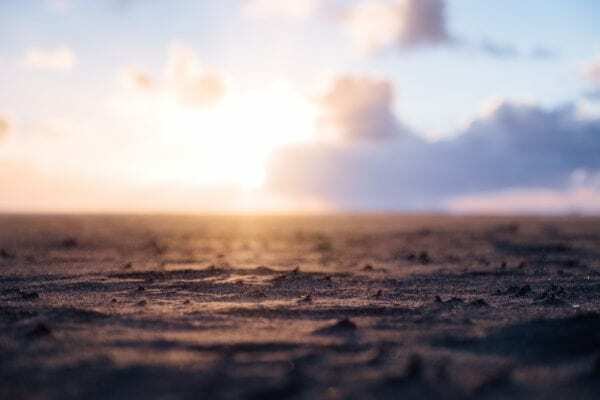 If you bring along a little $2 3” tripod, you can keep your phone, tripod, and tripod mount all in your pocket so you’re ready for stunning sunset videos at a moment’s notice. Remember, the best camera in the world is the one you have with you. Keep your video and camera rig mobile friendly for the best candid and travel shots. 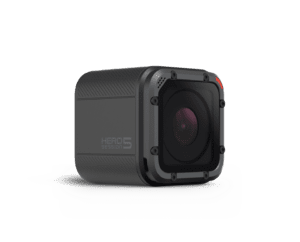 I’ve written about the GoPro Session before, but there’s a new upgraded version for just $299. For my money, you can’t find a more reliable, portable action camera on the market—especially for the price. It’s waterproof to 30 meters, shockproof, scratch resistant, and *gasp* actually shoots great video. You can’t do much better than this in a smaller package. Worth it. I clip this to my backpack chest straps for great first person POV travel video. You can also turn the camera sideways and clip it to your waistband for hands free walking video with minimal shaking. If you’re bad at taking panning video, the belt clip hack works great. Simply clip the camera to your waist, then slowly pivot in place—and voila, beautiful panning video without any hand shake. For more travel camera and video packing tips and tricks, check out this article about how to pack for great travel video. It’s got tips for travel audio, editing video, and the difference between frame rates and a few common settings to help you get the perfect travel footage. India is a massive country with six distinct seasons, dozens of microclimates, and thousands of years of history, tradition, and culture. Let your India packing list reflect the time of year and regions you’re going to, and stay light enough to see it all. But don’t worry—you’ll be back. No one ever visits India just once.